Sláinte. 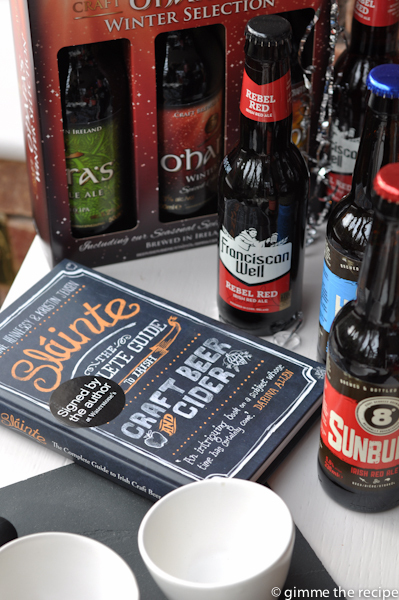 A toast to your health and the title of ‘the complete guide to Irish craft beer and cider.’ Written by Caroline Hennessy & Kristin Jensen this is a timely arrival to the food and drink section of Irish book shelves. Aha. I’ve delved through the pages and I’ve found the answer to the question that most commonly arises in this new age of craft beer drinking. What is the difference between an ale and a lager? Correct me if I’m wrong but ale is ‘top-fermented’ and lager is ‘bottom-fermented’ or to make it easier to remember lager takes longer. 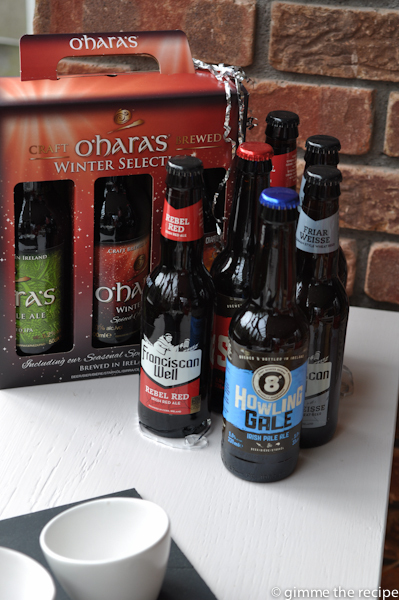 There’s so much more to it than that and it’s all about the yeast and the magic the brewer works so for the answer to everything craft beer/cider related you know where to go….Sláinte. 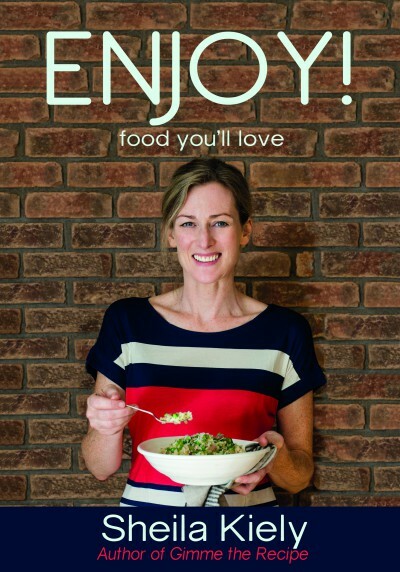 You can learn about the process and discover what foods are worth trying with beers and ciders and any that you don’t drink can be used in the recipes also included in the book. 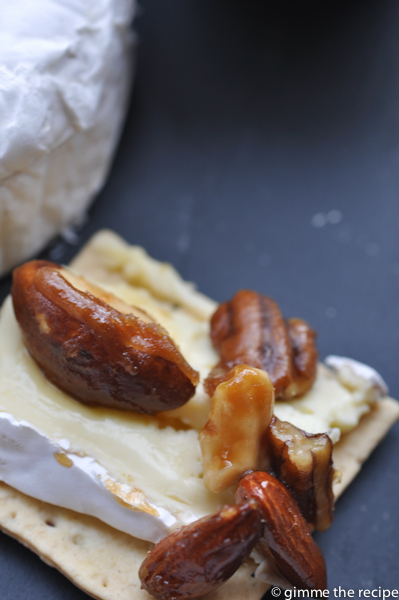 I drooled over the picture of ‘Baked Irish Brie with Red Ale Caramel and Pecans’ and decided to give it a try but as is my wont and the mother of invention I couldn’t find Pecans in the shop so had to diversify a little so Sunburnt Beer Nuts were born. 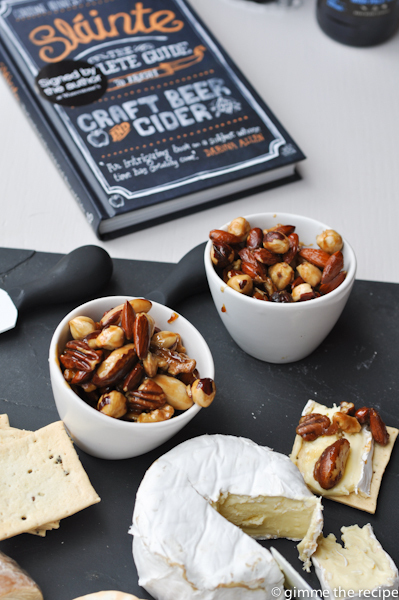 Delicious served immediately and warm with crackers and cheese any left-over surnburnt beer nuts should be spread onto a tray or a board as they will harden to a brittle that can be bashed with a rolling pin to savour in morsels as you wish. Heat the ale in a saucepan over a medium heat, stir in the sugar and bring to a rolling boil and then a simmer. Be extremely careful as this is akin to caramel making and will burn severely. 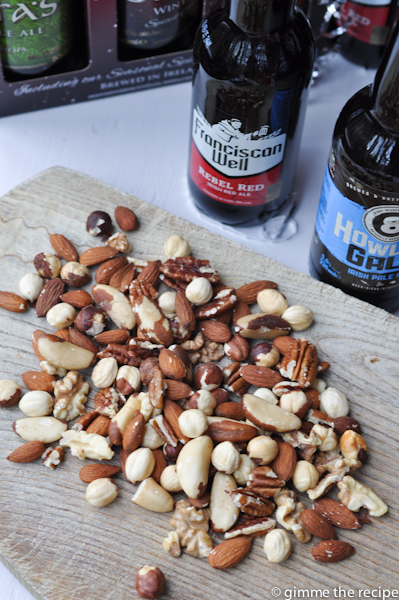 While the sauce is reducing toast the nuts on a baking tray in a hot oven for 5 – 10 minutes. 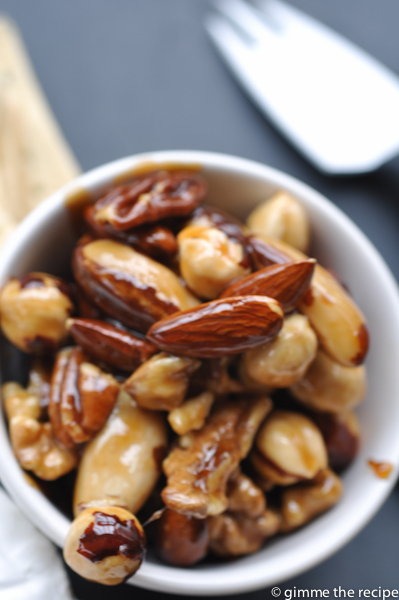 Remove nuts from oven and place them in a clean, dry tea-towel, rolling them with the tea-towel to remove loose skins. After around 10 minutes of reduction remove the sauce from the heat and stir in the nuts. 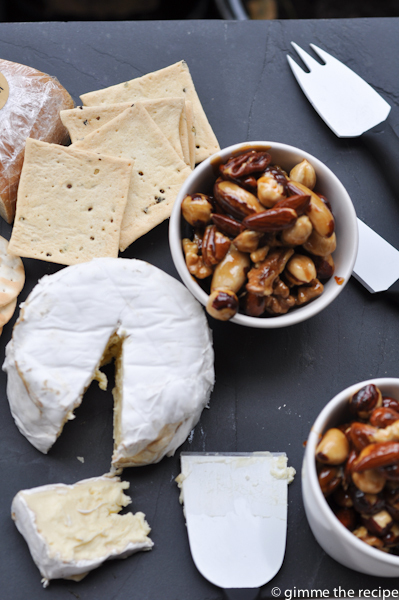 Serve immediately over some delicious creamy cheese. As this year comes to an end it has never meant more to me to toast you and your health and to wish you a very Happy New Year. Sláinte. Very elegant Sheila. I should crack a beer right now. 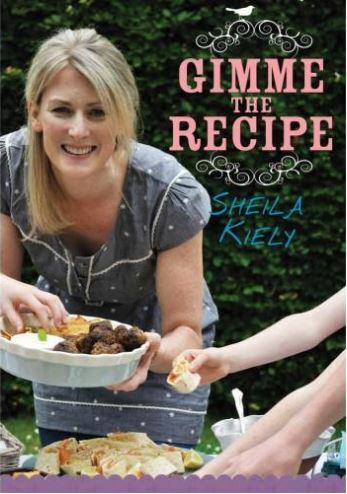 Love this recipe, Shelia! 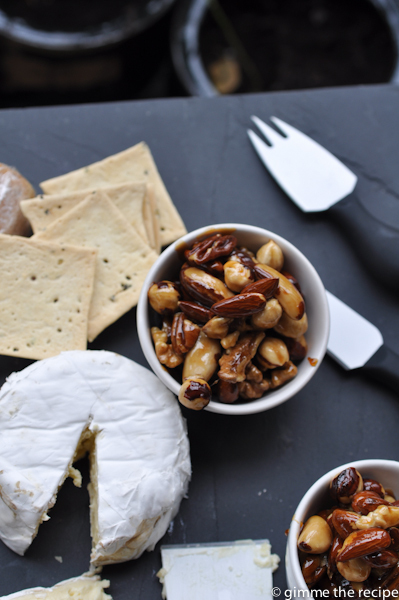 It’s been on my must-try list for ages – maybe it’s a Patrick’s Day kind of recipe. Sláinte!